View cart “Gold coin Krugerrand 1/10 oz with bitcoin at bullion79” has been added to your cart. 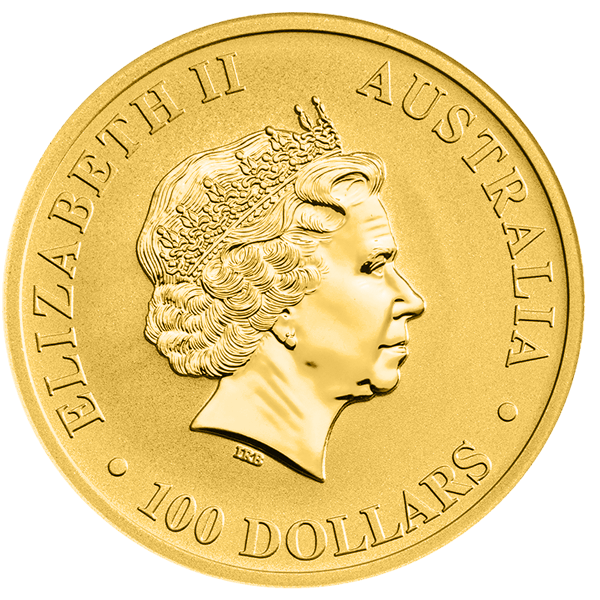 The Gold Corporation has minted the Australian nugget bullion coin in 1986, and it quickly became one of the most popular collector’s coins in the world. In 1989 they reintroduced the coin bearing the image of the national animal of Australia, the red kangaroo. 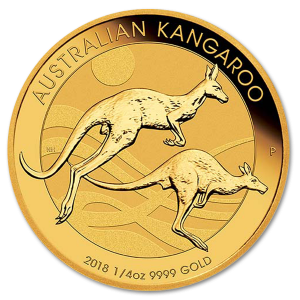 Each year it’s in production the kangaroo image has been changed, making the gold kangaroo coin both a highly collectible piece for its variable printings, as well as having the intrinsic value of high quality .9999 fine gold. Any numismatist would be proud to have one of these gold coins in their collection, or even one from every year! In the year 1986, the popularity of the Kruggerand was prompting every nation in the world to start moving into the private gold collection market. The first coin they introduced into the market was the Australian Nugget, which three years later became the kangaroo gold coin. 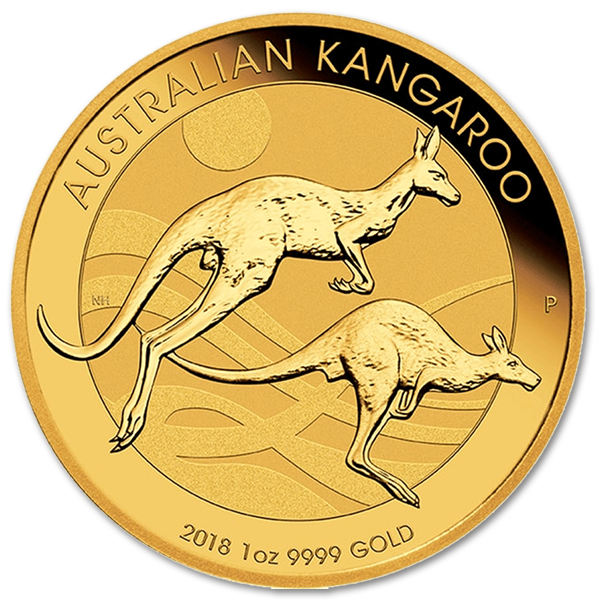 While the Australian gold nugget was considered to be the emblem of the nation, the kangaroo was far more internationally recognized, and so it came to grace the face of this beautiful 1oz coin, perfectly framed on its 32.10mm diameter. At its full 2.65mm thickness, the coin has a delicately serrated edge that serves to mark it both in authenticity, and to reveal it to be untampered with. 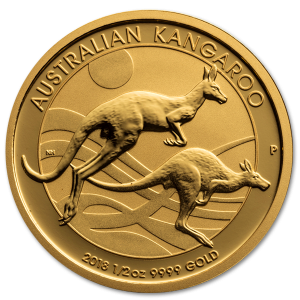 The Gold Kangaroo bears the distinction of being only one of a few coins that are considered legal tender that also change their markings every year, the other most notable being the Chinese Gold Panda. 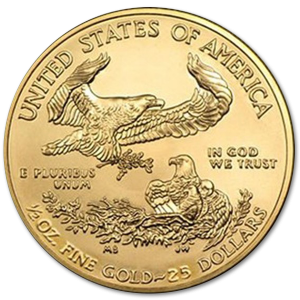 It was also a unique feature for its time when it was originally introduced, a feature which began a trend of encasing all investment gold coins in hard plastic capsules to help preserve them. Given that the face of the coin changes with every passing year, it also bears the distinction of having a numismatic value in excess of the metal of the coin, a relatively uncommon trait in investment coins. This coin is the work of the official bullion mint of Australia, a mint with a long and interesting history. Before the Federation of Australia in 1901, this firm stood as one of the last vestiges of the United Kingdom’s Royal Mint in Australia, charged with refining gold from the gold rushes in Australia into gold-sovereigns and half-sovereigns for the British Empire of the time. Now it bears the distinction of printing some of the world’s most sought after collector’s coins, which we bring to you in this fine piece of numismatic history.